Remember the Google Barge? Late last year a couple of floating structures off the cost of San Francisco and Portland grabbed out attention after they were revealed to be some sort of secret Google project. 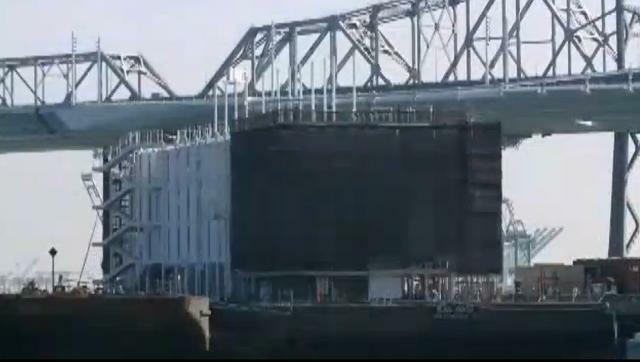 We haven't heard much about the barge since then, and now it looks like the Internet giant has sold off the structure and given up on its plans for a futuristic floating showroom. The Portland Press Herald reports that the Google barge was recently bought by a nondescript international barging company with unclear plans. Apparently the barge is being prepared for an new voyage across the ocean, while the rough structure Google built using 63 shipping containers is headed for the scrap yard. Google never made good on its expensive plans to renovate the inside of the structure, though the barge itself could be worth as much as $4 million. We'll probably never know exactly what Google had planned for the barge. The company previously said it hoped to use the space to help teach people about technology, with some reports claiming it could be a top-secret showroom for Google X projects or even a floating Google store. Google is always trying out new ideas and products, but most of the time these experiments take place in secret out of the public view. This time we received a glimpse at the company's wild overreaching imagination in action, though for now it looks like the Google barge story is at an end.